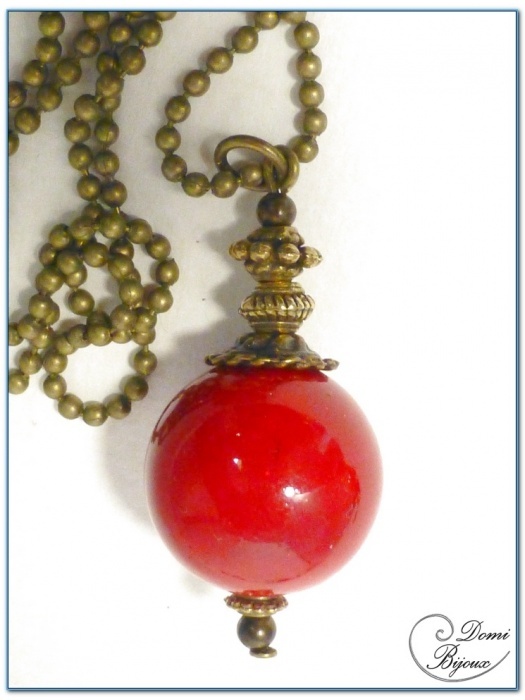 Fashion necklace bronze finition with red jade pearl. 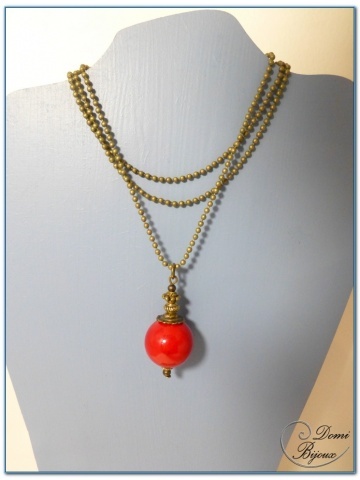 This fashion necklace bronze finition is made around a tinted red jade pearl of 18 mm diameter, surmonted with a cap and bronze pearls. The length of chain is 60 cm, very nice to wear long on all your outfits. 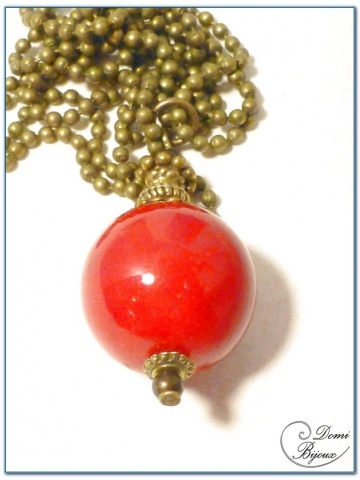 This necklace is made with metal nickel free, so do not fear allergies. You will receive it in a nice cloth pouch closed by a link to store it carefully.